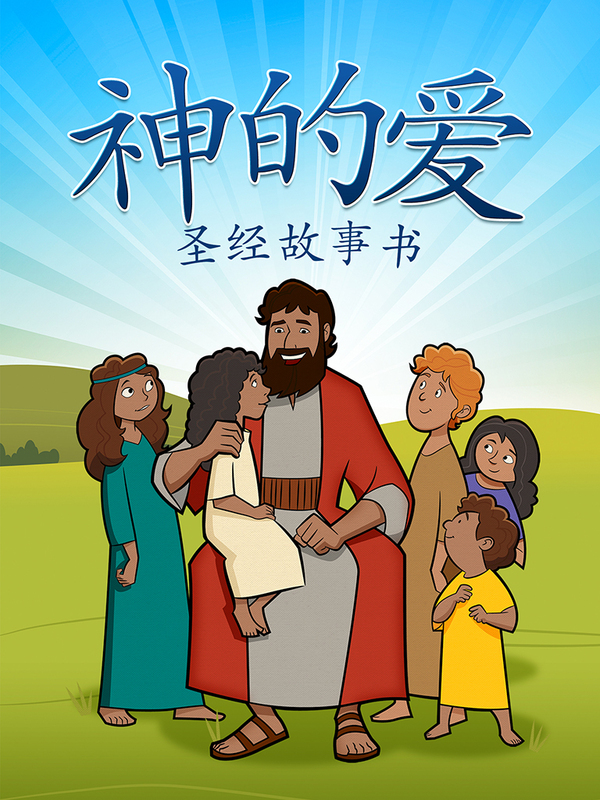 We’re very pleased to announce the Chinese translation of God’s Love: A Bible Storybook, available now worldwide as a free iPad app and printable PDF. Unfortunately, the storybook app will no longer work on devices with iOS 11 and above. You can, however, download free iBooks and PDF versions using the links below. The storybook app includes all 120 stories from the English version, as well as interactive story pages and full voiceover in Mandarin Chinese. Positive Action produced this edition in collaboration with an incredible team of volunteer contributors that included Chinese writers, teachers, and other ministers of the gospel. Our sincere thanks go out to them all—this project would not have been possible without their hard work and talent. Technical and audio production was also aided by Positive Action’s ongoing Global Missions Initiative, which has helped translate and distribute Bible study materials in diverse fields worldwide. More information about these projects will be available with the launch of the new GMI website in Fall 2014. And special thanks to BJU Audio Services, which provided recording and editing assistance. The app includes all the story and audio content produced for this edition, but teachers without an iPad can download printable story pages on PDF—as well as a compressed version for display on mobile devices. If this resource has been helpful to you and your ministry, please take the time to review the app on the App Store and spread the word. These projects depend on word-of-mouth from our education contacts and ministry partners. For more information about the original storybook and the curriculum from which it was developed, check out our Preschool materials. Positive Action for Christ is a nonprofit publisher of Christian Bible studies and curricula. We exist to help teachers magnify the majesty of God. For more information about our ministry, see the About Us page on our website.